This unique Christmas gift is one of my personal favourites. 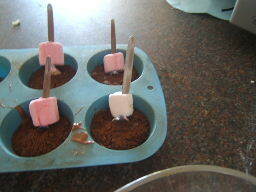 Each spoon makes a delicious cup of real hot chocolate. 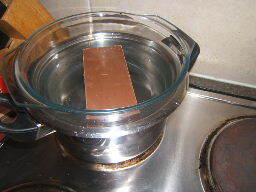 Melt the chocolate slowly in a bowl placed over a simmering pot of water. 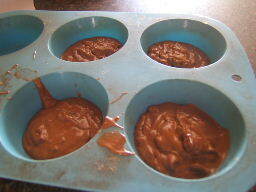 sprinkle a heaped teaspoon of Horlics or Milo on top of the chocolate and let it cool slightly. 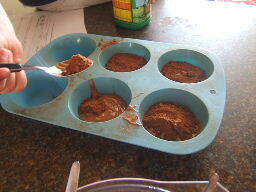 and carefully push the spoons into the chocolate. 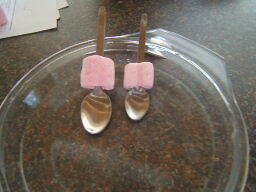 Leave it to cool completely and wrap your hot chocolate spoons in cellophane for a very unique Christmas gift.